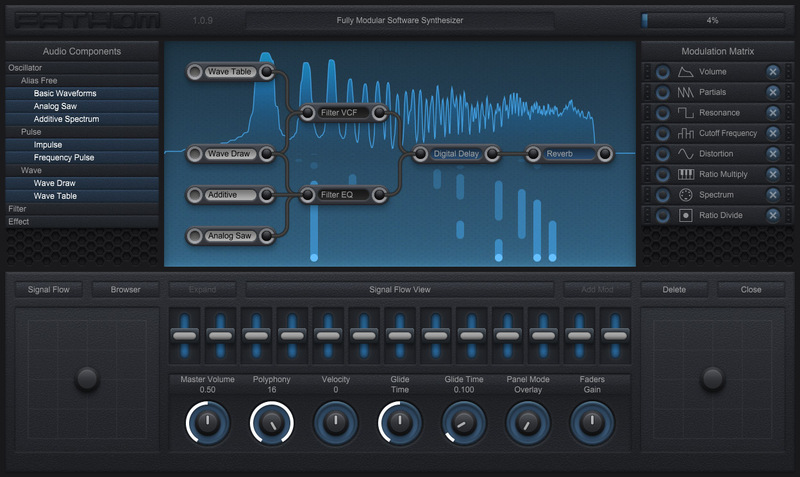 Fathom Synth on sale - cheap! I'm not much into synths and sound design, but I love tinkering with this one and can easily get some great-sounding results. The UI and workflow just make sense in my brain. I mean, none of the demo tracks sound particularly interesting. BUT, the interface is super interesting! I'm really tempted to buy it just to see what it can do. It sounds like a mad-cheap Zebra, but does it sound good? I'm not an authority on synths, but to me it sounds pretty good. I started by downloading the free mono version and when I saw the full poly version was only $11, it was a no-brainer. Definitely the most interesting bargain-bin synth I've seen recently (regular price is only $25). When this comes to MacOS I'll give the demo a try.